SNOWGIES! Are you getting Frozen Fever yet? The most adorable Disney craft has landed on the blog today as I continue to reveal my daughter’s DIY Frozen Fever Birthday Party! This DIY Disney Frozen Fever Snowgies Kids Craft is an essential piece to our party, as it provided such a fun activity for the kids! This frugal and budget-friendly craft is great to add to your next Disney party, or just to make on a winter’s day! Are you singing the song yet? 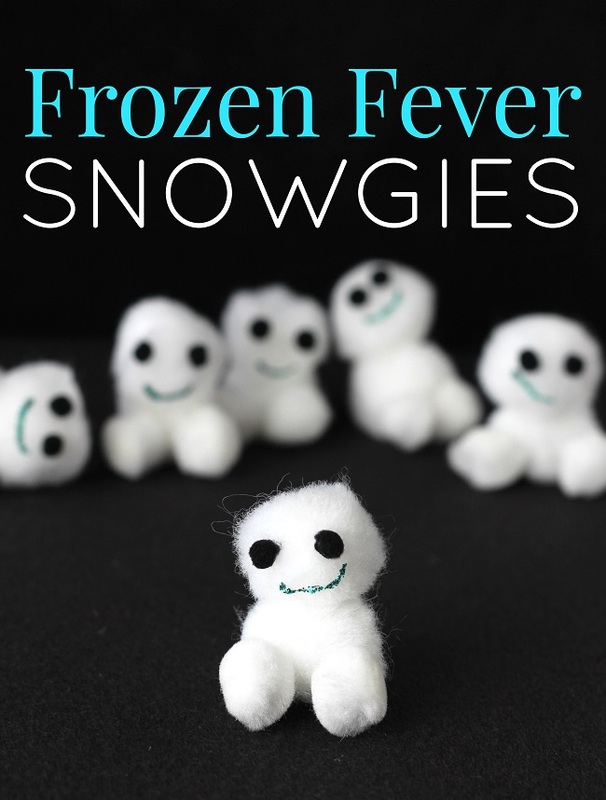 Then grab your pom poms and your glue and make some Frozen Fever Snowgies with us! Take 2 large white pom poms. Glue one on top of the other, holding together until dry. This will be the head and body. 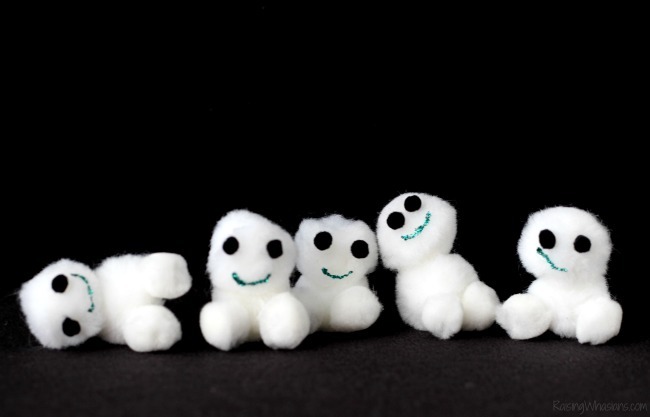 Placing your stack on a flat surface, glue 2 medium white pom poms as feet in the front of your Snowgie. Allow to dry. 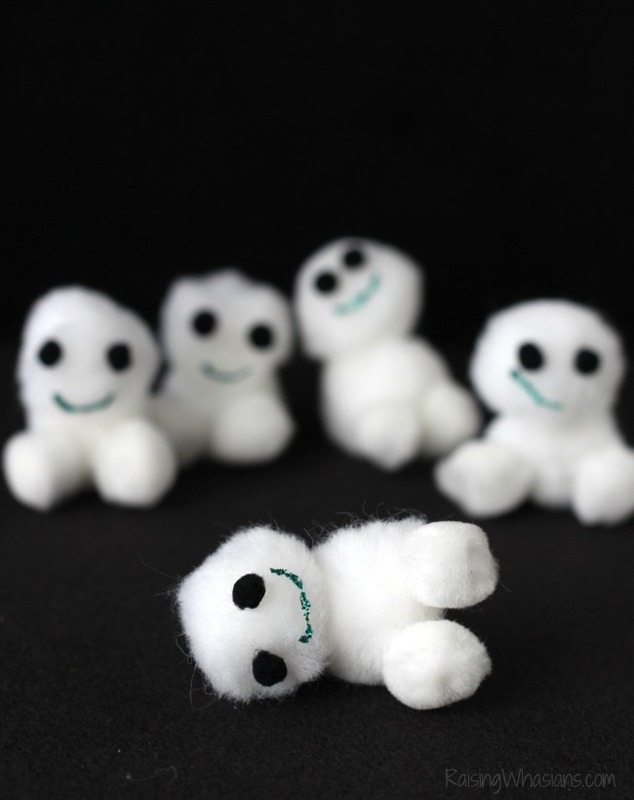 Take the 2 smallest black pom poms and glue on as eyes on the head of your Snowgie. Allow to dry. 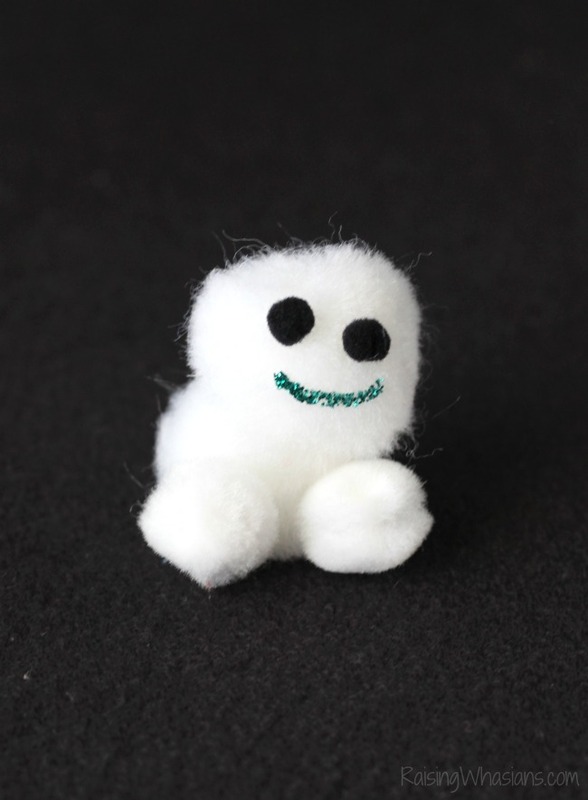 Using the blue glitter glue pen, draw your smile onto the Snowgie! Allow to fully dry and you’ve got yourself your very own Frozen Fever Snowgie! See full video tutorial to get this little craft started! 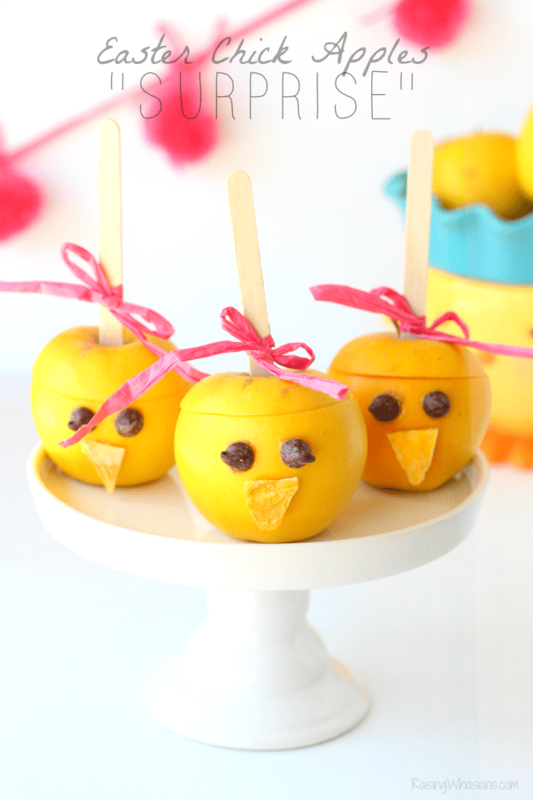 Done in minutes (perfect Frozen craft for toddlers!). How adorable are these little guys? A perfect budget-friendly activity for your Disney Frozen Fever Party, we had a cute little Snowgies craft station set up for kids (and adults) to make some Snowgies! For less than $5 for all of the supplies, everyone got a special friend to take home! Are you loving our Disney Frozen Fever Party ideas so far? 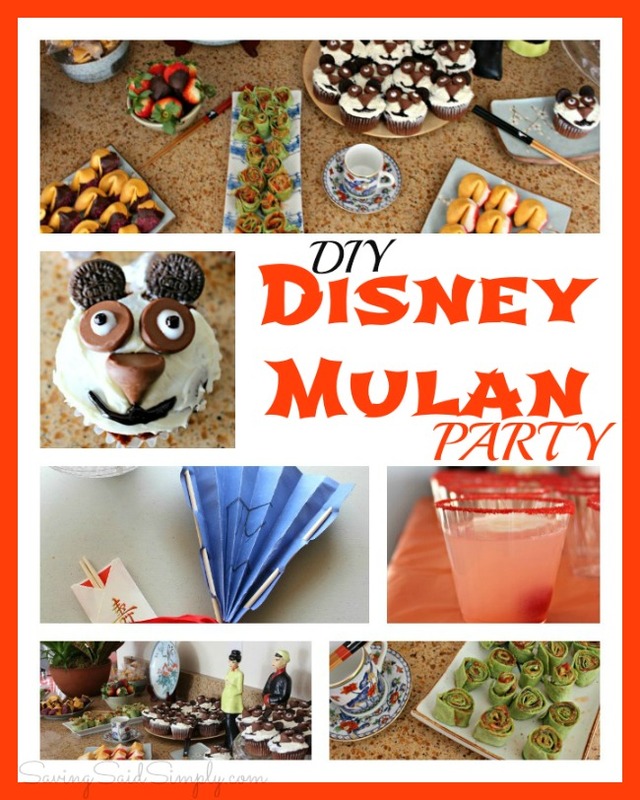 Need some more Disney Party Inspiration? Check out my other popular DIY Parties! And see the final results of my daughter’s 3rd birthday party with our DIY Frozen Fever Party Ideas! Food, decor, and more! Do you want to build a Snowgie? Be sure to follow Raising Whasians via Facebook, Twitter, Google, Instagram, Pinterest and YouTube for kids crafts, party ideas, recipes and more! wow these have major impact for being so simple, and so doable for kids – they are lil’ heart stealers. How cute!!! Great idea! This looks like a very neat and interesting craft. My niece would love it. Very fun and easy to make. Thanks. So cute and simple to make. Kids would have a lot of fun. 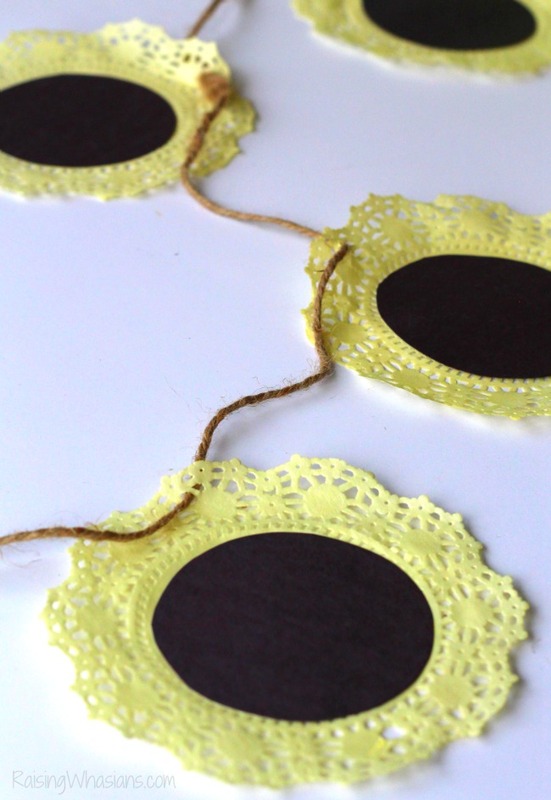 These are really cute and easy for small hands to make, Thanks! Hope you have fun making these too, Charlene!